If anyone has ever suggested you might be a defensive person and you listened to this criticism out of curiosity and then began to observe your behavior to see if the accusation had any truth to it, it is likely that you are not a highly defensive individual. If, on the other hand, you accused the person of being offensive, denied it, or thought about all the problems that they themselves had, then you might want to read this article carefully. Being highly defensive does not mean you are somehow deficient or a bad person. It most likely means that you are harder on yourself than others are. You are your own worst critic and will find any evidence of your mistakes long before others have noticed them. It might also mean that you are highly skilled at blaming others, finding reasons that the “offenders” are wrong, and believing that they are the real problem, not you. Most likely, it may suggest you are confused about who you are and what you do—perhaps your self-esteem could use some upgrading. Self-worth is not earned; it is our birthright. However, self-esteem—how we judge or value ourselves—is a choice we make based on how we talk to ourselves about who we are. People who are highly defensive believe that when they make a mistake, they are a mistake. Most importantly, being defensive keeps our relationships locked in an unhealthy pattern and stunts their growth. Lacking the ability to accept criticism also affects our work life; we know that the most successful and desirable employees are those with good emotional literacy, which includes being able to manage others’ negative perceptions. Listening with an open heart is the ultimate spiritual act. It is the greatest gift we can give to our partner, and ultimately to ourselves. And we can’t listen when we are defensive. It causes our alarms to go off, our protections to fixate, and our fight-or-flight mechanisms to go into full alarm. “Practice the pause,” says Lori Deschene. “Pause before judging. Pause before assuming. Pause before accusing. Pause whenever you’re about to react harshly, and you’ll avoid doing and saying things you’ll later regret.” Practice this throughout your day. Take a moment from whatever you are doing, relax your shoulders, look out the window at the sky, and imagine letting go of whatever you are thinking about, reacting to, or in the middle of. In many retreats, it is common to ring a bell at intermittent times during the day. Whenever people hear the bell, they stop what they are doing, just for a moment, and pause. We can all learn to do this throughout our day for a moment, and this helps us draw on “the pause” when we need it. It is the most important tool we have to move ourselves from a reaction to a response. Use your breath to counteract the tension in your body. When we feel threatened, stress and danger chemicals are sent out, which make us tense and unable to take in new information and increase our certainty that our own viewpoint is right and others are wrong. So slow down your breathing, soften your belly and shoulder muscles, and remind yourself that you are not in danger. It is important to tell others that you understand their criticisms and encourage them to share their feelings. If you let them know that you struggle with being too defensive, they may deliver their opinion in a softer tone. If you feel yourself shutting down, say so, and promise that you will get back to the conversation within 24 hours. 4. Look for a grain of truth. Often a criticism is more about the giver than the recipient. Perhaps they are simply tired or have misunderstood something—or perhaps you have unwittingly triggered a response in them that is really about someone else. One of the best strategies I know is to imagine that the criticism has 100 grains in it and 99 of them are false, if you can discern one tiny speck of truth, it often helps the person speaking to realize that the criticism is more about them than you. Master the art of apology for that grain of truth and develop the capacity to acknowledge their point of view, even when you do not agree with them. Like many other aspects of our physiological and psychological makeup, defensiveness has always been an important part of our survival. When used too much, however, it can actually do the opposite of what it was intended for and cause us harm. Most of all, remember that the more defensive you are, the more you become your own harshest critic. Practice talking to yourself like someone you love. 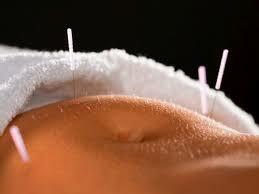 Although some women may try acupuncture hoping it will help them conceive, new research suggests it won’t. “I believe that any method that promotes relaxation and lowers the stress levels of patients undergoing fertility treatment is blessed — whether it is acupuncture, massage, physical and sexual activity [when permitted] or seeing a professional to discuss and treat anxiety and stress,” said Dr. Tomer Singer. He directs reproductive endocrinology and infertility at Lenox Hill Hospital in New York City.